Introductory remarks by and a follow-up conversation with Christopher Sparks, a local writer on Northampton State Hospital and dehospitalization. Christopher Sparks is a lifelong Northampton resident who took an interest in the Northampton State Hospital shortly after it was abandoned. 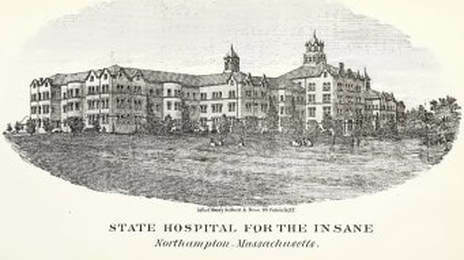 He researches and writes about the state hospital with the mission to analyze the history of Northampton State Hospital as a symptom of public intolerance of the mentally ill. Sparks is a web strategist at the University of Massachusetts at Amherst.